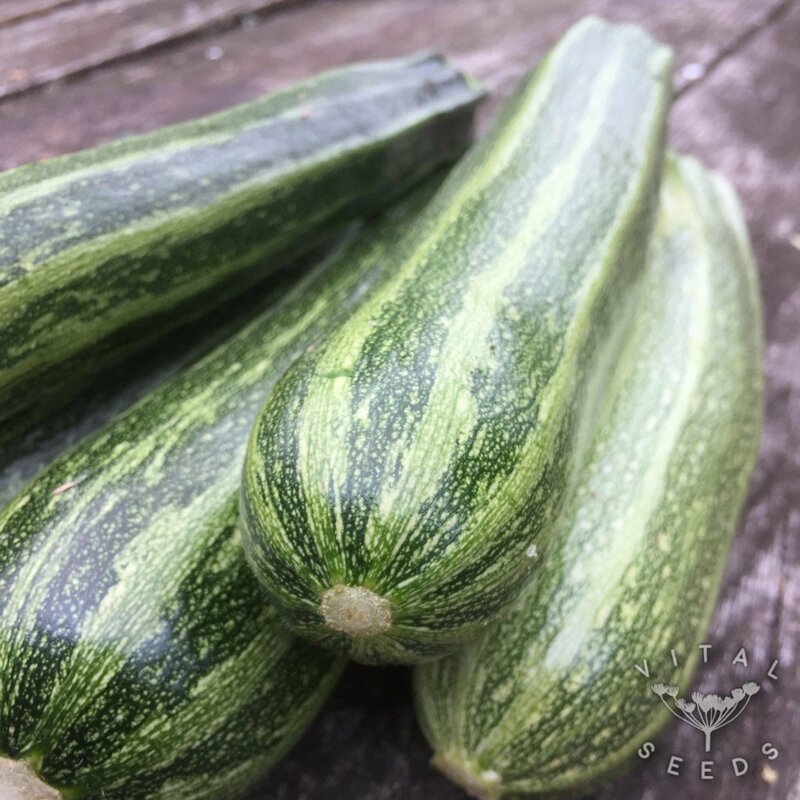 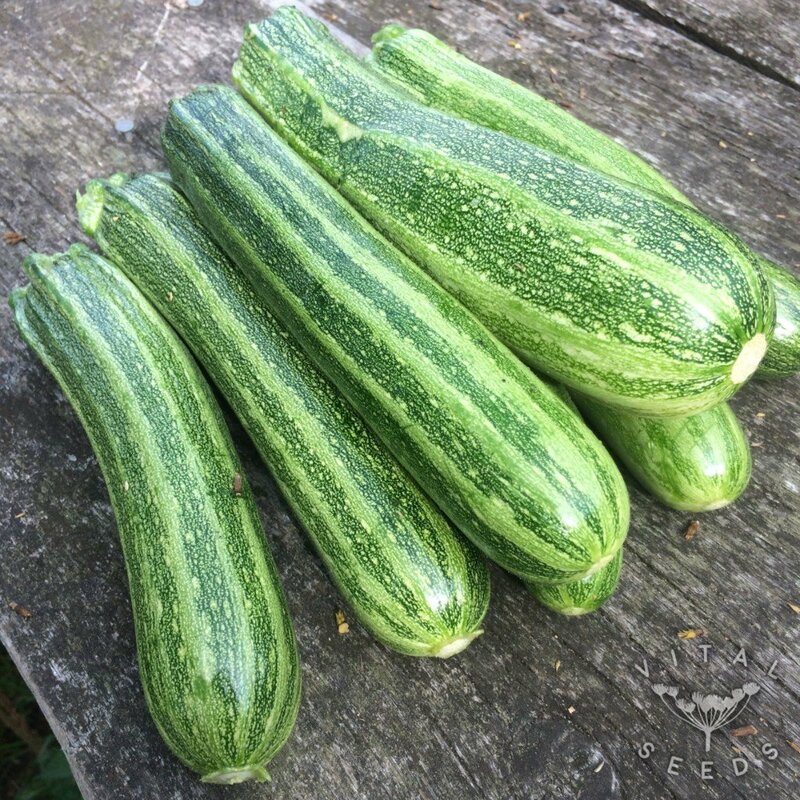 Very productive courgette producing dark and light green stripy fruit over a long period. 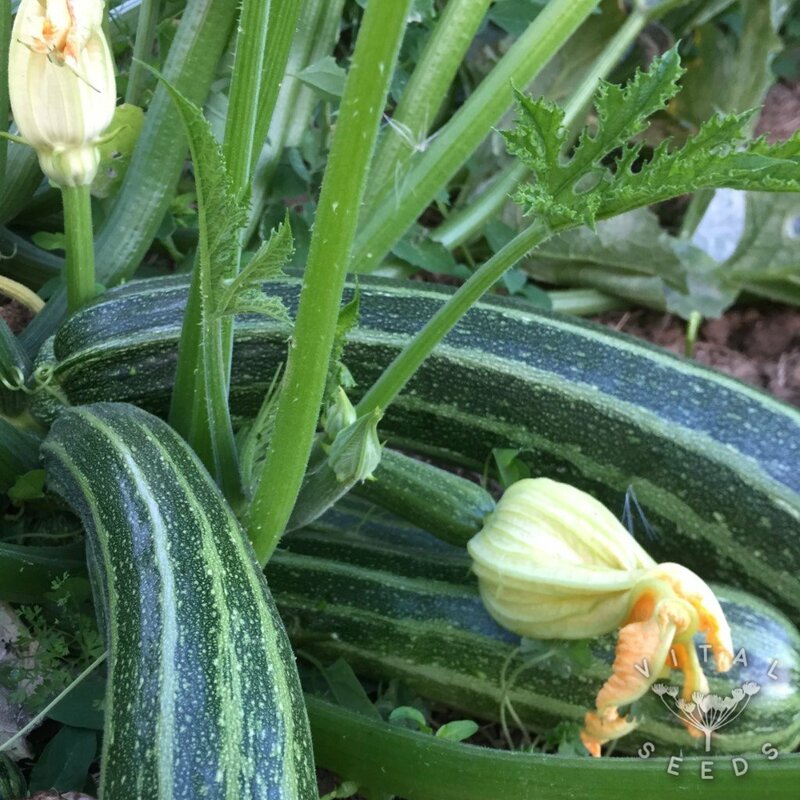 We have grown this traditional Italian variety of courgette for many years, it has become a staple part of our summer diets. It is a prolific producer of good looking and great tasting fruits. 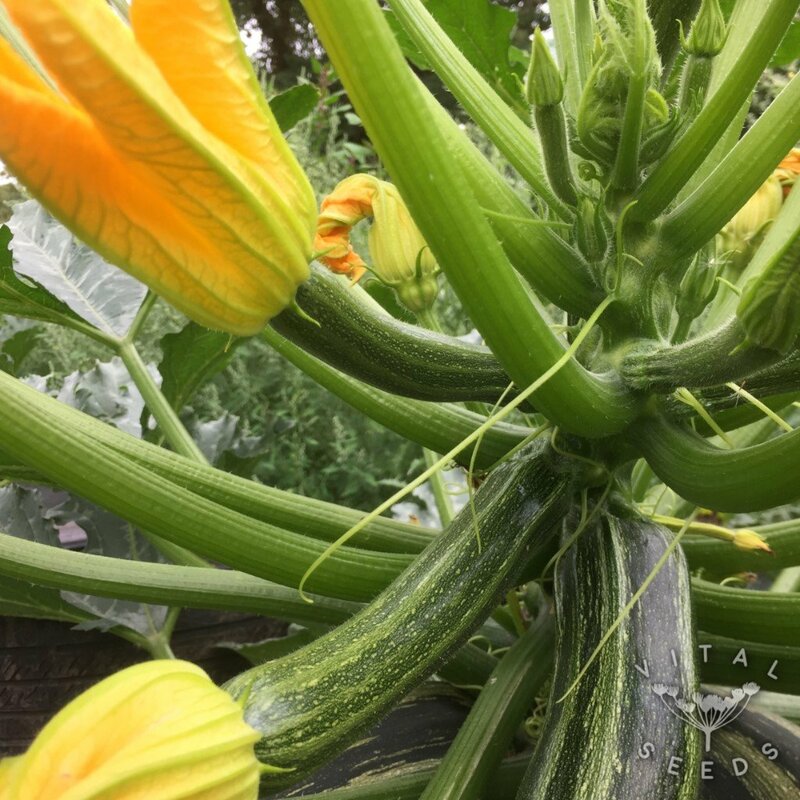 It has a bush-type growth habit making it suitable for smaller plots of even container growing.